The 70th Year Anniversary of Israel being restored as a nation, is a huge prophetic threshold that gives clarity to what time it is in human history. It’s time for a remnant to return to Yahweh’s original intent and be prophetically aligned with the City of the Great King – Jerusalem. CLICK HERE to learn more about Isaiah22.com, a new ministry birthed to help you grow in your understanding of the Seven Mountains. In 70 A.D. the Roman Empire conquered Jerusalem, tore down the 2nd temple (Herod’s Temple) and the Jewish people were exiled to the Nations. Yahweh promised through the Prophets that one day a Jewish Remnant would return to their homeland. Nearly 1,900 years had passed since their exile, and it seemed absolutely impossible, but in May of 1948 Israel declared itself a sovereign nation. 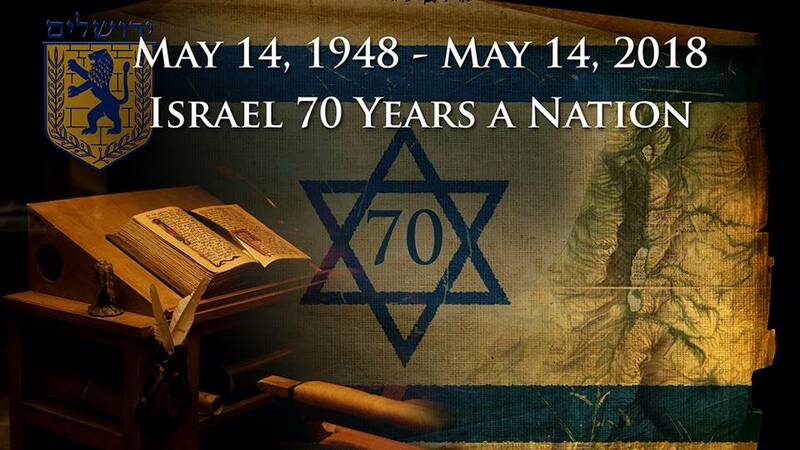 On May 14, 2018 Israel will celebrate its 70th Anniversary of being restored as a nation and back in their land of promise. 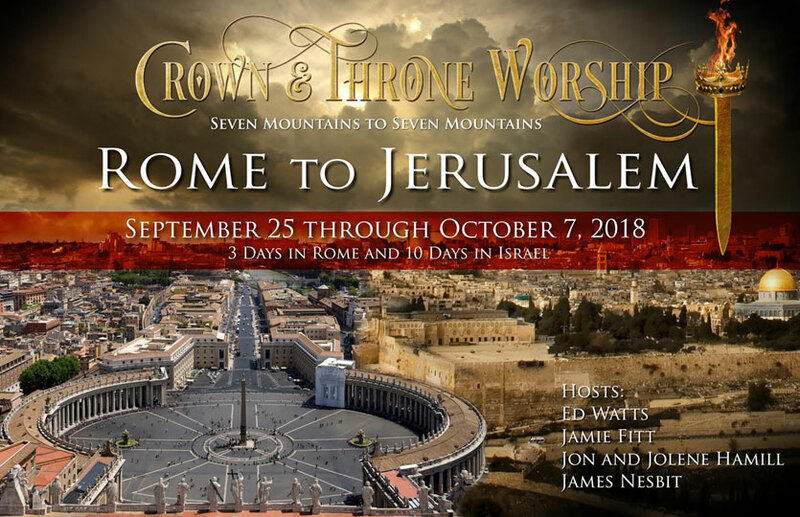 During September 25 – October 7, 2018, Ed Watts, Jamie Fitt, Jon and Jolene Hamill, and Jamie Fitt are leading the Crown and Throne Worship: Rome to Israel Journey. The 7 Hills to 7 Hills – Rome to Jerusalem Journey is a prophetic plumb-line journey that the Father will use to Reclaim, Unlock, Align, and Unleash. The 70th Year Anniversary is a huge prophetic threshold that gives clarity to what time it is in human history. It’s time for a remnant to return to Yahweh’s original intent and be prophetically aligned with the City of the Great King – Jerusalem. What’s in this for Rome? Everything. Seeking God for this prophetic restoration by no means robs Rome; it frees Rome. Blessings to understand and embrace the Rome-Israel connection!